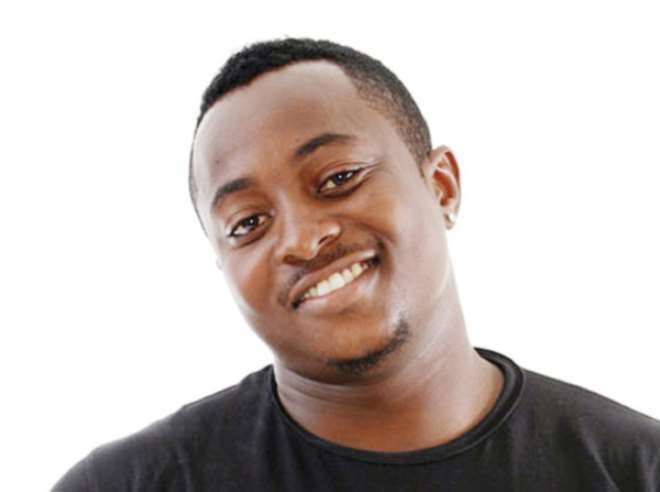 Kelvin Chuwang-Pam, winner of the just concluded Big Brother Africa reality show, shares in this chat with SAM NZEH, high and low moments in the house, how prepared he is in managing fame, and reveals that girls are not his priority right now. Enjoy! I had faith that I would win when I went into the house. I had serious faith, my faith had a swagger. So, it was just a matter of believing, particularly because of how long I had passion to be in the contest. I applied to be in BBA five times. Though I was not happy on the editions I didn't make, I still persisted because I believed that I would make it one day. So, I had faith in myself. I knew where I was coming from and where I was going to and I did not allow anything to distract me. To be honest, I still feel great winning the price money. Like I said on the day I emerged winner, I feel like President Obama of the US. It's a feat that I can't forget. Words are not enough to explain how I feel winning the price money, but suffice it to say that right now, I feel like I'm on top of the world. It's a dream come true. I believe that I have enough experience to manage fame. I'm well prepared for fame. I have attended auditions for several reality shows in the past and I know how I should conduct myself. I was in the Next Movie Star reality show; I was also in the MTN-MTV Video search show, among others. So, I think with all these, I should be able to manage the fame that winning BBA brings. In fact, all the shows that I went for but couldn't make it actually built in me the capacity to handle fame. I think with the experience that I've had in the past and the people I surround myself with, I should manage fame successfully. The kind of person that I am also will help me manage fame well. I am not the kind of person that is swollen headed. I listen to advice. I believe that there are people who have achieved fame in the entertainment industry in the country whom I can always seek advice from. So, I believe that if I keep my head low, and in my humility continue doing the things that I have been doing before now, I would be able to manage fame successfully. The day D'banj walked into the house was the most memorable day for me in BBA, because he did not only come in to make me scream on top of my voice that my correct Nigerian musician stepped into the house, he came with pounded yam and egusi and draw soup. I mean, it was a day to remember and I loved it. At the end of his visit, MoHits gave me a pair of glasses because I was always dancing to their tracks and calling D'banj's name. I found D'banj's hits so interesting that day and I kept dancing to the tunes. The day Elizabeth left was apparently the worst day I had while in the house. That day was bad for me. I was very close to her and our closeness was such that she shared with me secrets she couldn't share with her best friends. In the process, we got attached to each other. We were so close that I even asked her to call my family at one point. So, the day she was evicted, I was really hit badly. I cried when she was leaving the house. It was my worst moment in the house. Yes, I had the passion and the drive to be in the BBA. I know I had the talent, and adopted a number of strategies to survive eviction. However, the most important thing that helped me survive eviction was that every morning when I woke up from sleep, I knelt down to say my prayers, even if it was for a few minutes. At such times, I asked God to give me a garment of favour, to make me appeal to the viewers of the show across Africa and it worked. It was not about the talent or what I could do, it was God's favour. That's what I believe won me the prize, not whatever thing that I did. I didn't feel bitter towards Edward at all. I harboured no ill-feelings towards him. Though he was always putting me up for eviction, there was no need for me to feel bitter towards him. It was just about the game and each person devised strategies for survival. I knew he wanted to take me out of the game and I knew he was one of the strongest guys in the house. So, I was just trying to take him out before he took me out. There was really nothing like feeling bitter towards him. Among the five of us that made it to the last stage, if I didn't win, I would have preferred Emma to win. The truth is that I was also close to Emma and I knew that she had a strong and good character. She survived more evictions than me. So, if I didn't win, I would have been comfortable for someone like Emma winning. Knowing Elizabeth was not a strategy. Those who watched the show will attest to the fact that I was not attracted to Elizabeth. She was also not a reflection of who I am. I just got close to her and in the process got to know a lot of things about her. I liked her for who she was and wanted to help her. She told me a lot of things her best friends don't know about her. So, in the process, we sort of got attached to each other and used to being with each other. Elizabeth and I will continue to be friends. She is a good fellow to relate with but she is in a relationship and I respect that. So, it is not likely that there's any future for both of us together. I don't have any girl friend right now. The one I had broke up with me long before I went for BBA. The only girl friends I have right now are my sisters. It is not that girls are not coming after me, but it's just that they are not my priority now. They are not what I'm setting out to do right now. Even before I got into the BBA, I made up my mind to stay focused and not to be distracted. Right now, my focus is to go all out and make as much money that I can and touch more lives. If while going out to make money and touch lives a girl comes along, then all well and good. But I'm not setting out for girls; they are not my focus right now. That is up to her, but naturally you don't expect me to jump at the news. I don't know how I will react if she decides to return now that I've won the BBA prize money, but it would not be wrong to feel that she's coming for the money. Yes, I made the statement the day I was announced winner of BBA. I made that statement with all humility and the reason I made that statement was because coming to BBA was a dream. I saw myself being on TV, appealing to people and when the dream came to pass, I had to voice it out. The statement was not made out of pride. I made the statement because it was a dream come true. You may wish to know that I had applied for BBA five times. This particular edition that I won was my fifth - from the first edition where Bayo went, to the last one, I was always there for audition, but I was not that lucky for four times. I wanted it bad and kept persisting. Last year, I borrowed money and flew from Abuja to attend the BBA audition in Lagos, yet despite the fact that I lodged in Victoria Island in order to get to the audition venue on time, I could still not make the list. I almost gave up the quest after I failed last year. This year, I was able to try again and succeeded. So, when I was eventually announced winner, I felt that my dream had been fulfilled and there was the need to voice it out. It was a statement of fact as well as a way of telling the world that from now on they would be seeing my face often on screen. I'm very close to my family. I don't joke with them. We are a family of eight, three males and five females. I have a father, my mum died in 1994, but I have a step mother. All of us have finished school. My sisters are all working, one is married. I have a nephew and two nieces. I grew up in a God-fearing family, my father is principled. He trained us well; he used to flog me when I messed up. We did manual labour like cutting of grass in our compound in Jos. We went to farm after school and were taught to value hard work. I was not born with a silver spoon. My family really, really helped me because it got to the point where we had only ourselves to lean on and we just knew that our academic pursuit was going to save us some day. So, everybody in the family tried to finish school before pursuing other ventures. I would say that I'm cut out for entertainment industry. I have passion for the industry and it didn't start today. When I was in secondary school, I was made the social prefect. I was director of socials when I was at the University of Jos, where I studied English. I learnt a lot about entertainment when I was at the university. It taught me how to relate with people and how to be humble. Since getting out of university, I have continued to be engaged in industry. I had gone for several reality show auditions, including that of BBA. There's a great future before me and I'm determined to make the best out of the opportunity that BBA has given me. I have a music career, I have an acting career, and I'm a poet. I will exploit all these to the maximum. Added to this, there's a brand I want to start called 'Down to earth.' I want to use the brand to affect the lives of youths positively and be a good role model. Very soon, I would be coming out with my first single. It's titled Thank you. It's gospel because God has done a lot for me. Not until I wrote the song, things didn't start turning out well for me. I was hating myself for not making the previous BBA shows despite my passion and persistence. I was downcast. In the midst of this, the spirit of God told me not to give up, that I could make it. It was after this that I wrote the song Thank You and from then on things started turning out in my favour. I want to use that song to tell people that they need to thank God in all situations. For me, being close to God has to do with how an individual relates with God. Closeness to God does not have to do with carrying a banner or wearing a badge that you are this or that. Closeness to God, for me, has to do with how a person relates with God in his/her in private time, even when no one is watching. First, I will pay my tithe. I'm going to swaggerliciouly walk up to the altar and drop my tithe to God as a way of showing my gratitude to Him for all He's done for me. Things started happening for me when I began to sow seeds into the work of God. After paying my tithe, I will use part of the remaining money to promote my music career and the publishing of my books. There are a lot of things that I plan to spend the price money on, including remaining on television, but I will endeavour to be prudent. I just don't want to fizzle out soon in the minds of people. I want to remind all youths of Nigeria that they are an important segment of the society. They don't need to join the bandwagon to do things that are against the norms of the society. I don't believe in the saying that if you can't beat them, you join them. If you can't beat them, keep trying to beat them, you will beat them one day. Don't ever tell yourself that you are a failure. People never fail, they only stop trying. If you have a dream, keep pursuing it. Hold on tight; don't ever tell yourself that it's over. People win the battle in their minds. My philosophy is that anything worth doing is worth doing well. My dad taught me this and I hold unto it dearly. Another is belief in God, faith in yourself and a kind heart. My father is my role model. He trained me and my siblings to be God-fearing and to value hard work. He is so principled and he has instilled a level of understanding of life and the word of God in me and my siblings. I really, really thank him for that. When we were still in the house (BBA), I saw people who really didn't have the foundation that I had, thanks to my father and it really affected the way they talked and the things they did. So, I, for one, will thank my father and look at him as my role model. Aside my father, the likes of President Obama, Abraham Lincoln, J.F. Kennedy, Martin Luther King Jnr, and Sir Winston Churchill are among other statesmen that are my role models. What I like in a woman is a good sense of humour, a caring heart. I like a woman that is selfless and has good looks. I'm passionate about J-Town, but right now, I talk about J-Town with pain in my heart because of what religious and ethnic crises have brought upon this once peaceful city and home of tourism. I remember growing up in Jos, it was fun. But now, things have changed, the youths have been misled; the adults have also been misled by ideological and religious indoctrinations and other things. It really, really pains me that this home of peace and tourism has now become a place that is called all sorts of negative names. However, I believe that things are going to change soon, so that J-Town will return to its past glory. I have written a proposal - 'The Plateau Peace Proposal'- on how peace can return to Jos and the entire state. While in the BBA house, I also spoke about my passion for Jos and how to bring back peace to the city. Now that I'm out of the house, I intend to do all I can with the help of others to pursue this goal to a logical conclusion. J-Town is a good place. It is a city that has produced a lot of talents. Many of them like the music sensation, M.I, Nollywood star, Desmond Elliot, etc, are making waves in the entertainment industry. With peace returning to the city and the state, many more talents will be discovered and Nigeria will be better for it. My family really supported my quest to be in BBA, so also were my friends. In fact, they were sure that I could make the selection as well as win the contest. So, when eventually I won, they felt very proud of my achievement. When I was announced winner of BBA, I felt like Nigeria had won the Confederation Cup. I felt like one soldier sent to war and he came back with his country on his shoulder. I felt like a son that has made his father proud. I think that reality shows like BBA are good for right thinking Nigerians, individuals with a sense of direction and who know what they are in the shows for. Individuals who have the passion, drive and who are fit to enlist in reality shows should be encouraged to do so. Such persons would be able to depict the real picture of the Nigerians to others in the African continent and across the globe. Many people have the wrong picture of who Nigerians really are, so with right thinking Nigerians enlisting in reality shows, such misconceptions will be erased. Their participation will help in projecting a better image for Nigeria. Nigeria's entertainment industry rocks! Whether it is music, movie or other forms of entertainment, Nigeria is a force to reckon with. I believe we're Number 1 in Africa. The industry is growing very fast and impacting many lives, not only in the African continent but the globe as well. Our movies are everywhere. People know of Nollywood across Africa, the Americas, the Caribbean, Asia and the like. My aim is to be a part of the revolution taking place in the nation's entertainment industry and by so doing, take the industry to greater heights.